Amina Gilyard, is not only the reigning Miss Exquisite International, but she’s also a kindred spirit. Initially, I was nervous about interviewing her since i’m used to dealing with pretentious D.C transplants over the weekends and was nervous that I was going to get verbally slashed for not knowing the right people, not owning a Michael Kors purse or for ever having the opportunity to travel to Sicily. After interviewing Amina, in Downtown Silver Spring, my preconceived notions were efficiently squashed. Here’s a D.C denizen who is affable, jovial and confident. The interview was not only refreshing but fun. We had heart-to-heart’s about growing up, favorite hot-spots in Silver Spring and about being true to ourselves in spite of the odds. Aside from having a candid interview, it’s interesting to also note that the International Exquisite Pageant System has set unprecedented expectations in the pageant world. For starters, you don’t need to be 5’10 and wear a size 2 dress in order to enter this pageant. You are beautiful, just as you are, and will be recognized for what makes you special. This pageant has a vast age range of contestants, ranging from teen to women over their 50’s;The rules and regulations are all-inclusive, and the contest is full of kind-hearted judges who emphasize requisites on civic engagement, confidence and personality. Pageant veteran Angel M. McCoy summarizes why she chose to take on the colossal task of directing a brand new pageant “…aside from my deep admiration of National Director, Jonzetta “Pinky” Carter, I chose to become a Director because the Exquisite International Pageants allows women of all walks of life to showcase their inner queen and I sincerely believe that every woman’s inner queen deserves to be recognized! Amina, as well as Jonzetta “Pinky” Carter, Director of the Exquisite International Pageants, are veterans in the pageantry field. Amina has been competing in pageants since she was in college at Penn State. Did you know that she was Penn State’s black home coming queen? Not only did she garner this accolade but she also won Miss Greek in 2007 and represented Zeta Phi Beta and, lest not forget, that she was Miss Black D.C 2012. 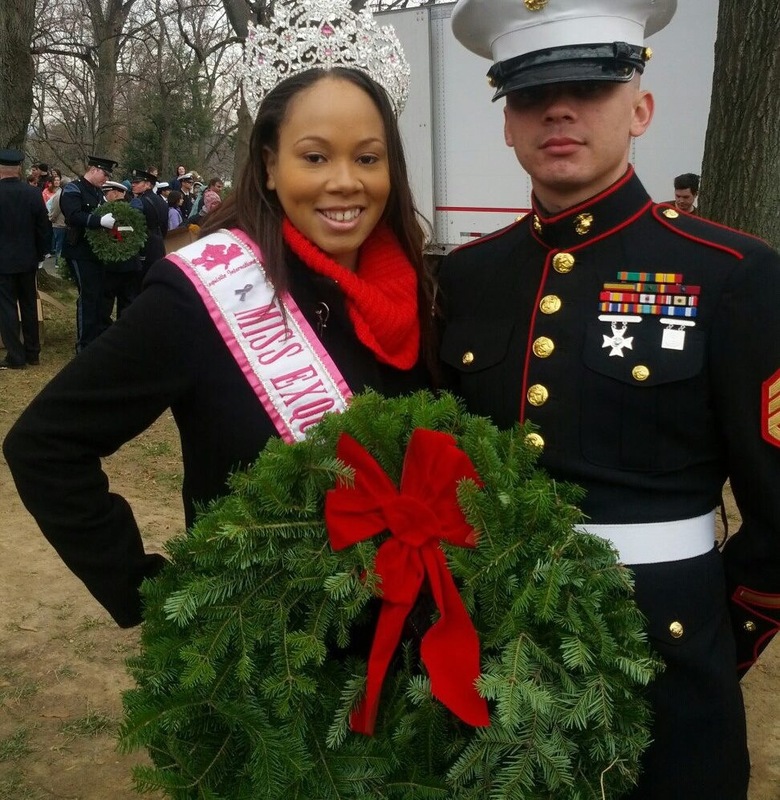 She also competed for Miss Black USA in 2012 but won Miss Congeniality and the Community Service Award. Though Amina is a seasoned veteran in the pageant world, she hasn’t always been as confident as she is today. “Growing up, I was always the awkward beauty who couldn’t fit in. You find this story often but it was definitely true with me. I didn’t have high self-esteem, couldn’t fit in anywhere and felt different from everyone else. Ever since my sister started doing pageants, I followed in her foot steps and competed in college. Pageants really do empower women and build confidence. It helped me and I know it can help other women out there too,” Amina Gilyard, reigning Miss Exquisite International said. Exclusively selected to volunteer for the Staff Innaugural Ball featuring President Barack Obama and Vice President Joseph Biden. This Jackie of all trades has also founded founded Wellness Ambassadors, which focuses on providing supplemental wellness education to communities that are deprived of said resources. In between executing pageants, interning at a highly coveted federal position, and with engrossing herself into D.C’s milieu–Amina networks like a boss. I can candidly say that Amina is someone I can be friends with since she’s down to earth, funny and easy to talk to. Considering that she’s a representative of the pageant, it says a lot that she has a warm personality. Imagine competing with women who could possibly end up being your friend in the near future? I can imagine it and I recommend this pageant for anyone interested in competing. Here are more deets! Women interested in becoming a contestant in the 2013 DC Exquisite Pageants can visit www.DCExquisitePageants.com for more information and find them on Facebook at District ExquisitePageants. Competition categories include: Teen (13-19), Miss (20-29), Ms. (30-49), Mrs. (22-49, married) and Classic (50 and over). Contestants will compete in the areas of personal interview, fitness wear, evening gown and fun fashion! Moreover, DC Exquisite Pageants has partnered with We Will Survive Cancer (WWSC),a not for profit purported to support to families of cancer victims who lack the time, financial, or other resources to adequately address their needs. 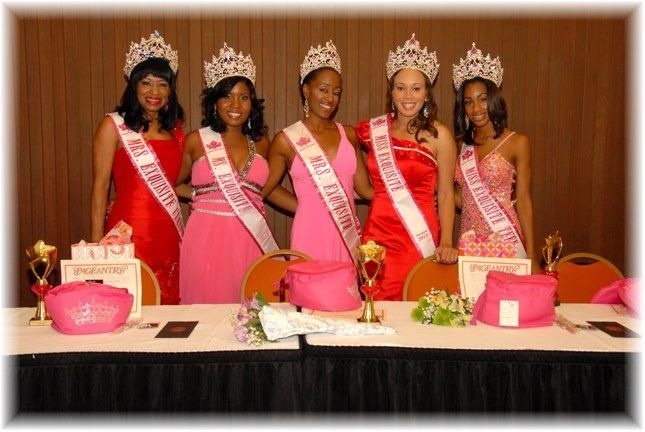 DC Exquisite Pageants will support WWSC by promoting the organization via the web, attending awareness events, as well as raising money for the organization on May 19, 2013. I’m definitely going to attend the event. I hope to see you all there too. Whether you are competing or watching from afar, any pageant that supports a diverse roster of women must be embraced by women who believe in shattering the glass ceiling. If you are interested in competing in DMV pageants or want to speak to a kindred spirit, check out Amina’s social media links!